That’s Andrew Rugasira, chief executive of Good African Coffee, several years ago in a pitch to a potential British buyer as recounted last weekend by the New York Times. It was a sales pitch that ultimately proved unsuccessful, one of many unsuccessful pitches chronicled in the spread Can Coffee Kick-Start an Economy? The Ugandan entrepreneur, now sources from 12,000 growers, wasn’t content to merely sell coffee as a middleman to massive retailers. Instead, he forged his own company and brand, competing directly with the Starbucks and Wholefoods on store shelves. His believe in his company and his model is paying off, as Good African Coffee is now sold in the UK and soon in the U.S.
And although the company receives some NGO funding, on its website, Good African Coffee argues the efficiency of its business model. Both articles present arguments against paternalistic tendencies of linking aid to trade, especially given Africa’s explosive growth, particularly in sub Saharan states. For African entrepreneurs who have been making this case for years, this mainstream acknowledgement may have been a long time in coming, but might go far in finally changing attitudes. 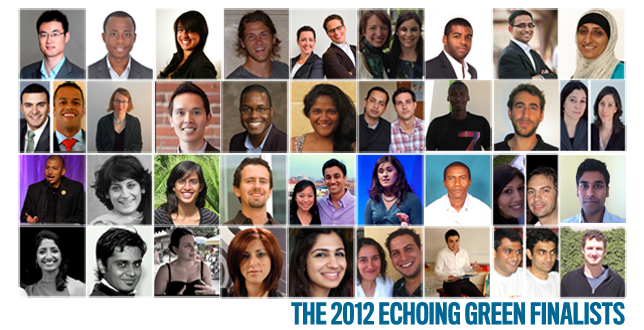 A quick congratulations to the 38 finalists in the 2012 Echoing Green Fellowships. Talk about stiff competition competition, this cohort represents about 1 percent of the total number of 3,508 applications. Of the group of aspirants, about 40 percent plan to launch for-profit enterprises and 50 percent are exploring nonprofits. Most organizations list poverty alleviation as their focus. Nearing its 25th year, EG will award about anywhere from 15-20 fellowships in early June. The selected fellows will receive up to $90,000 in funding to launch new organizations, access to Echoing Green’s network, leadership development opportunities; and one-to-one support and counseling.The full list is here.